As part of its art advisory offering, MLTPL offers a bespoke service for selling the artworks of our clients. Depending on each individual artwork, we choose the most suitable sales channel. We either purchase artworks at fair market prices or offer them on a commission basis. Enabled by our client base, a global network of art dealers, private collectors and art investors, MLTPL offers to find buyers discreetly via private treaty sale. Alternatively, we offer to act on behalf of our clients wishing to sell works of art at auction. Benefitting from our professional relations and experience, this service includes the formal request of sale and marketing proposals from auction houses as well as the negotiation of the most advantageous terms for our clients. All our services to sell individual works of art or entire collections, can encompass valuations, independent research and background checks concerning prices, attribution, authenticity and provenance. If you are interested in selling an artwork, please send us images and a short description and we will be in touch shortly. MLTPL helps private individuals to develop or start a collection. 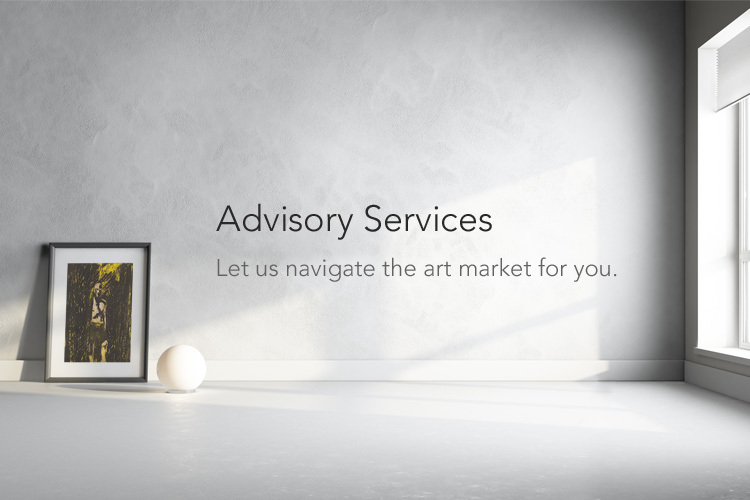 As part of our art advisory services, we offer to manage all aspects of acquisitions, conduct valuations and give advice on shipping, insurance, installation and conservation. In addition to our extensive art collection, we have close links with a global network of art dealers, publishers and private collectors. This enables us to source specific artworks swiftly and discreetly for our clients. If you would like assistance in finding an artwork or building your collection, please step into contact. MLTPL advises corporate clients in purchasing artworks, building art collections, enhancing the workspace and diversifying their investment portfolio. From sourcing single artworks to building relevant art collections that reflects the clients’ brand and enhances the working environment, MLTPL is highly skilled at identifying our clients’ requirements while being sensitive to budget parameters and schedule demands. We advise all company types, from single offices to international corporations regarding the selection and acquisition of artworks, collection management and the sale of art. Each cooperation begins with a consultation to determine company objectives, addressing specific needs and taking into account the client’s corporate persona and taste. If desired, we also highlight the investment potential of all acquisitions via quantitative and qualitative analysis reports. If you wish to enhance your company’s workspace whilst building up wealth, please get in touch with us. Art has established itself as an alternative investment asset. Especially artworks by the world’s leading artists, have shown that their growth rate can easily compete with stocks and bonds. Art benefits from several advantages over traditional investment assets. Due to their physical existence, a total loss is very unlikely. In addition, famous artists’ value volatility is comparatively low. Lastly, in uncertain economical and political times, artworks help diversifying portfolios. Limited edition artworks are especially suited for diversification purposes. Their low purchase price allows for spreading the “eggs” across several baskets instead of only investing in a few expensive works of art. MLTPL offers advice regarding all aspects of investing in art. Besides examining the placement of attractive investments, we offer to create quantitative reports on single artworks, individual artists, specific market sectors and geographic regions.